Kids now a days are so fascinated by tablets, it’s just the way time has changed. I have battled with this with my oldest son as he would spend all his time in front of a tablet if I let him. 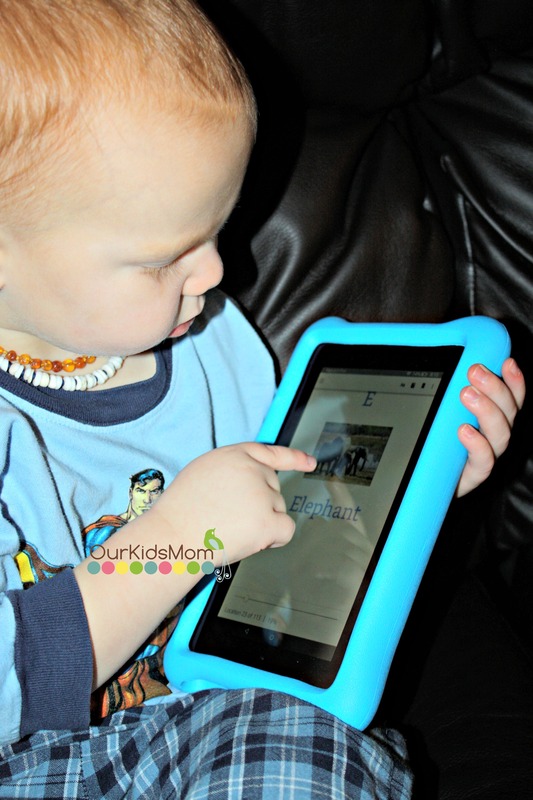 When I was offered to review the Amazon Fire Kids edition tablet I knew Karson would love it, and with all the parent settings and time limits I could set I knew I was going to love it too. I have actually found that I love using the Amazon Fire Kids edition tablet to encourage Karson to work on his school work. 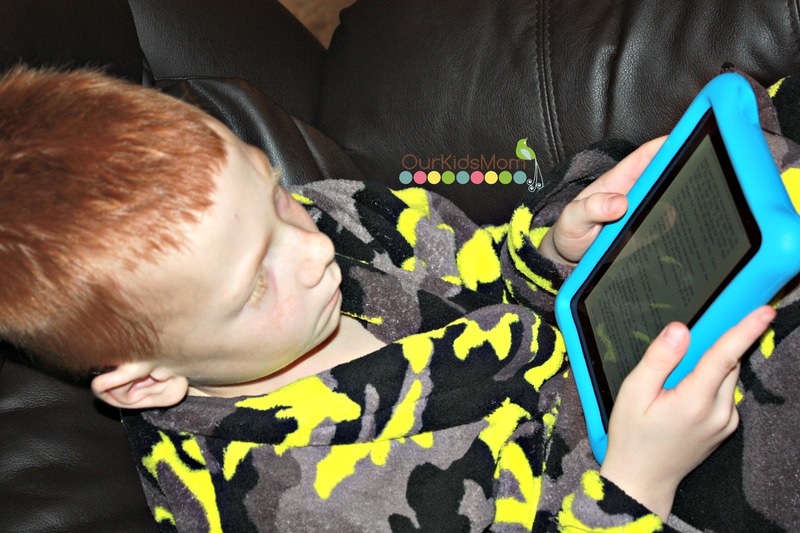 I have found a great app that allows him to do his spelling words on the tablet, along with having access to great kid books he can do his nightly reading on the tablet as well. Karson is excited to have tablet time and I’m excited seeing him enjoy doing his school work. 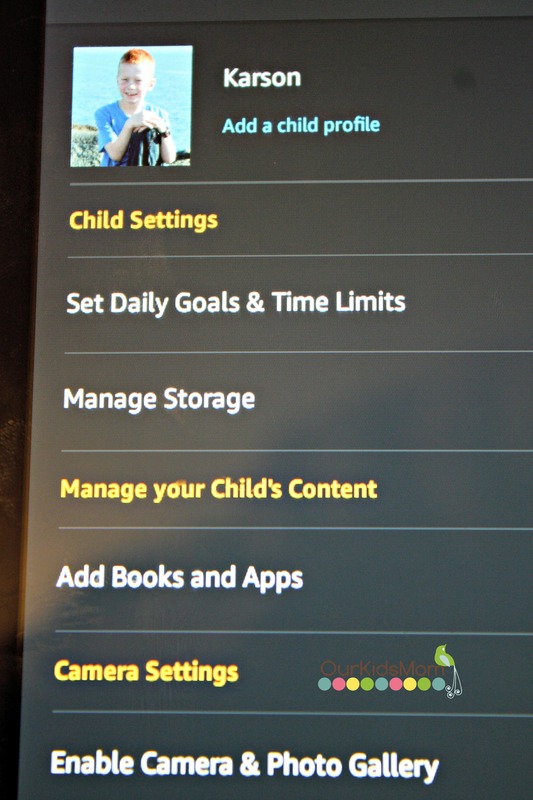 I can set up different profiles for each of my kids so that they can have their own age appropriate content. When I log into my profile I have access to everything from the internet to books and apps. In my mode is where I can set up the settings in each of the children’s profiles. 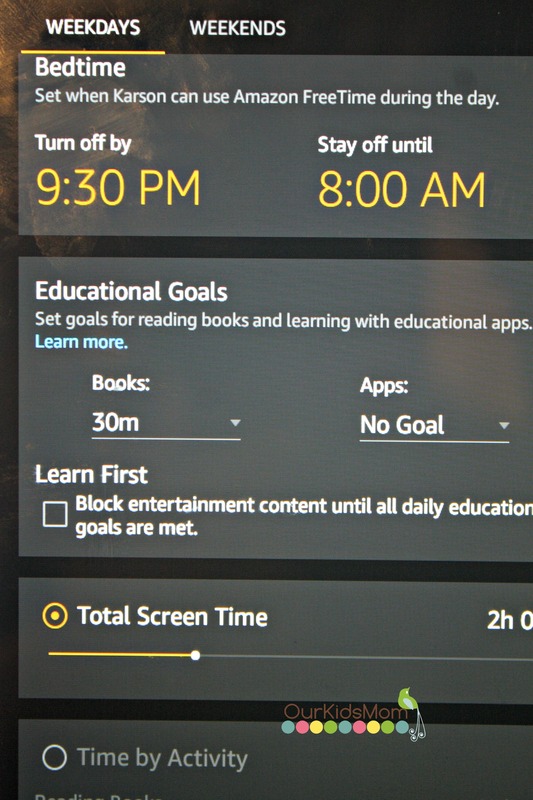 Right now I’m keeping my oldest settings to mainly just books so that I know when he has the tablet he is using it to either read or work on his spelling. I’m at such peace letting him have the tablet knowing I control what he can access. When Karson goes to bed we let him read for a little bit in bed. With the Amazon Fire Kids Edition tablet I can set that time so that his profile shuts off at so I know he isn’t sitting on the tablet later then he should be. The tablet comes with a great kid case, it’s easy for them to handle and carry around. It’s a thick foam that will keep the tablet protected if dropped. 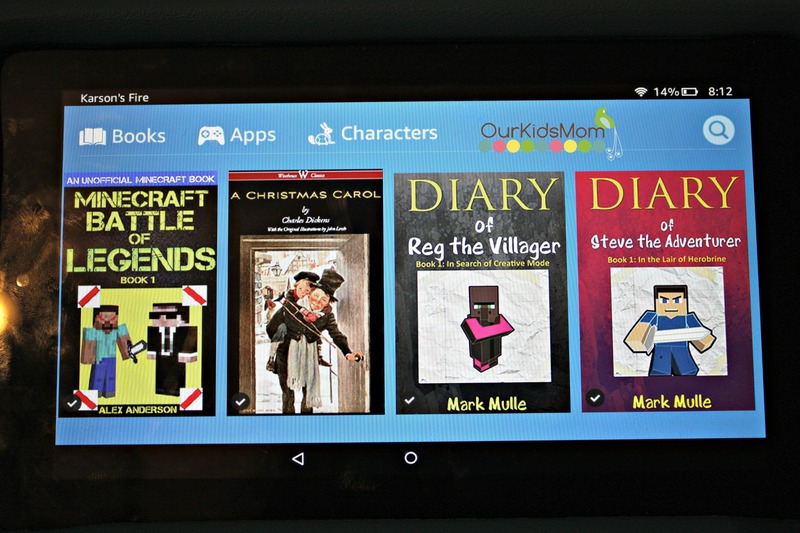 You can load apps, books and movies to your tablet… watching movies on it is nice and smooth. The response time is very fast, I haven’t run into any glitches or stuttering. As a parent the warranty is a big draw for me, as kids are kids and some days they can be rough on stuff. 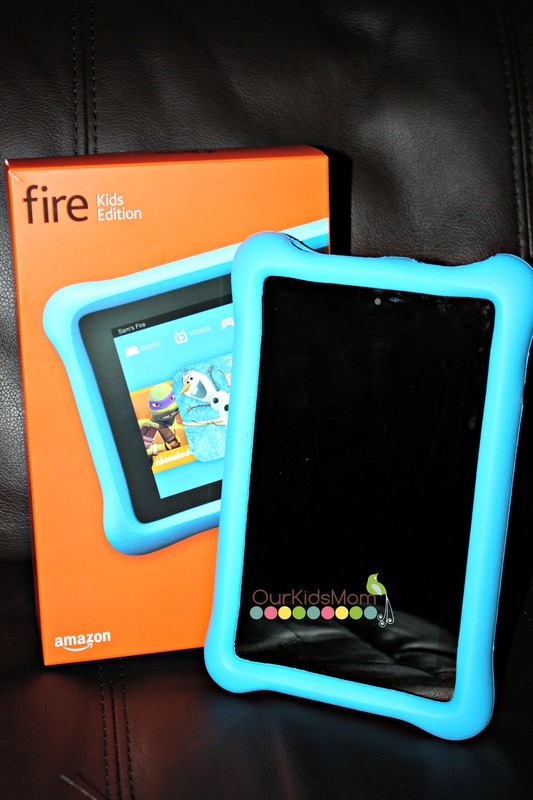 Knowing that the Amazon Fire Kids Edition has a 2-year worry free guarantee warranty is just peace of mind, it doesn’t get much better then that. No matter why, Amazon will replace it. Whether your at home or on the go, this tablet is perfect for your kids who are begging for a tablet of their own. The price is amazing and makes it affordable so you can have that special surprised wrapped up under the tree this year. 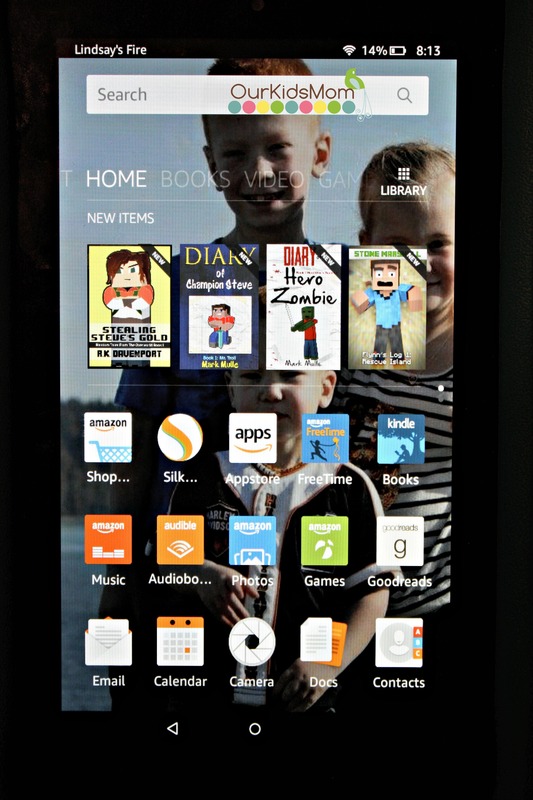 Head over to www.amazon.com and get your child that tablet that they have been begging for. This looks like something my son would really enjoy getting for Christmas. Those are some really great parental controls for this. I’m glad to see them.